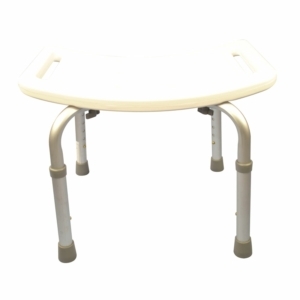 A shower seat is a perfect option if you have trouble standing for prolonged periods of time, these products are invaluable and here at Millercare, we have a wide variety of styles and price points to choose from. 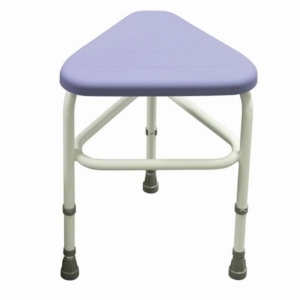 These stools and seats come in a variety of robust designs and designs that ensure there is something for everyone’s needs. 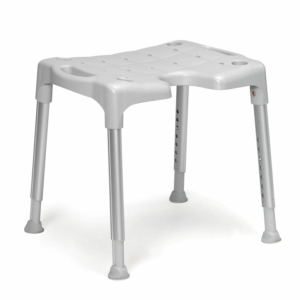 They’ll provide a safe and sturdy platform allowing you to bathe in comfort. 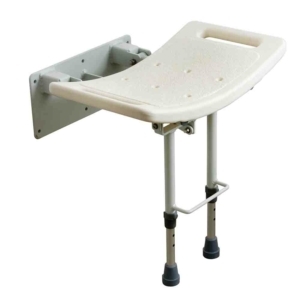 The disabled shower seat provides support and comfort for those with low mobility, allowing them to wash more easily. 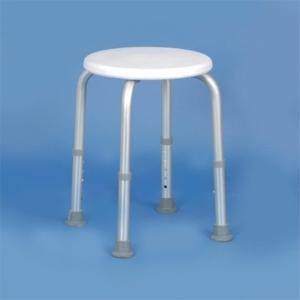 Shop Millercare’s variety of seats and stools now if you know what you need. 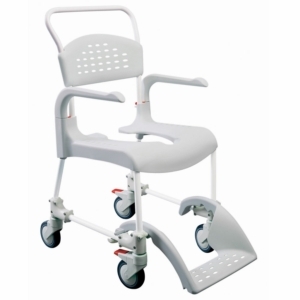 However, you can find us in store too if you require further assistance. 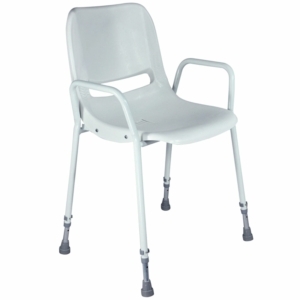 If you are unsure where you local Millercare branch is, use our handy branch locater to find the one nearest to you. 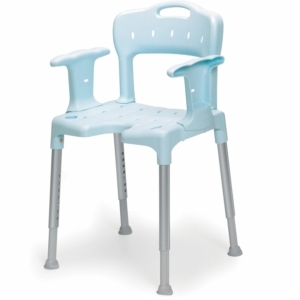 Take the pressure of your legs with a shower seat that allows you wash without needing to rush to sit down. 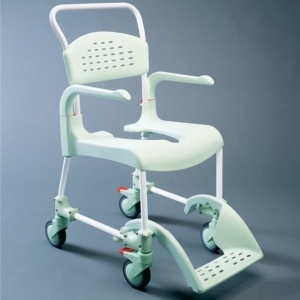 Slipping in the shower is easily done, even if you’re young and able-bodied, but for those with mobility and balance problems, it can pose a greater risk. 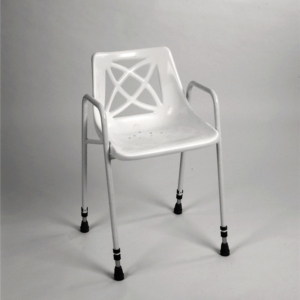 Especially if hot environments affect you and make you feel faint. 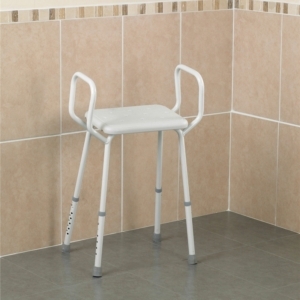 It’s important you’re equipped with the tools to ensure you feel safe and confident whilst you get clean in the shower. 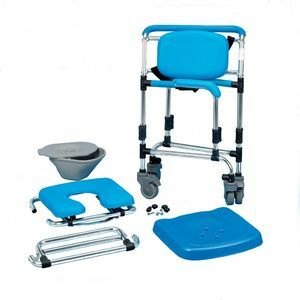 Adding a disabled shower seat to your bathroom could make all the difference, and with prices starting from just £14.95, excluding VAT, there’s definitely a budget for everyone. 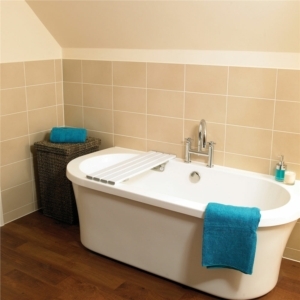 These high-quality products come in a variety of styles, designs and colours to match your particular bathroom and fit in the space you have; with adjustable heights, free-standing designs or wall-mounted options to choose from. 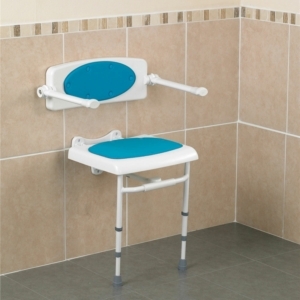 These sturdy designs can be easily removed and added to the shower when needed, but if you’d prefer something mounted to the wall there are a number of designs to choose from. 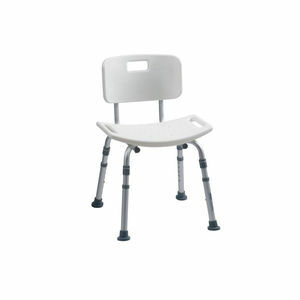 These can also come with backrests too, so there’s no cold shock when you lean on the shower wall as you sit. 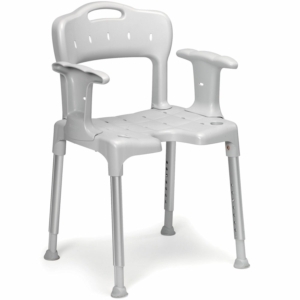 The free-standing shower seats also come designed with back and arm rests if you need them. 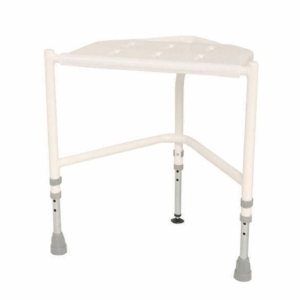 However, if you want a stool that’s a little less imposing on your shower space, a corner design can easily be pushed to the side when it’s not in use. 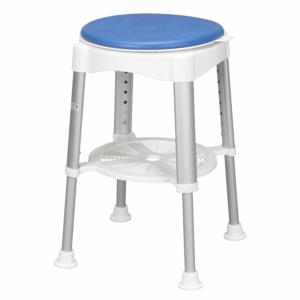 These stools are pretty simple but can make all the difference to your routine. 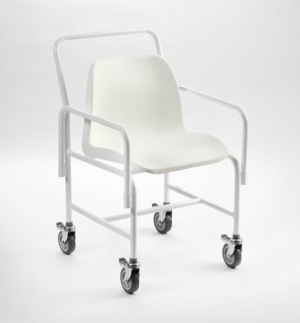 The lightweight, reasonably-sized seats come with non-slip feet and there’s no need for special installation – unless of course, you choose a wall-mounted design. 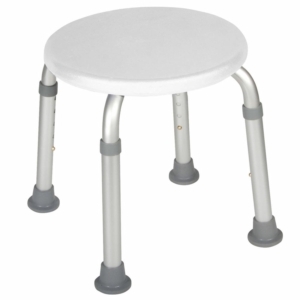 Some designs do come with adjustable legs that changes the height of it, but the majority of these can be set up without the need for specialist tools. 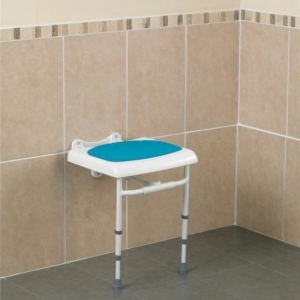 Here at Millercare we have the tools to help you feel confident and comfortable whilst you shower; these stools and seats are comfortable, easy to use and most of all affordable. 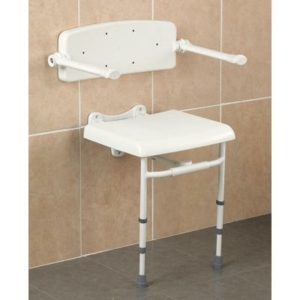 Shower with self-assurance and safety with one of our disabled shower seats.